“No national awakening is really vital and enduring which confines itself to a single field. It is when the soul awakens that a nation is really alive, and the life will then manifest itself in all the manifold forms of activity in which man seeks to express the strength and the delight of the expansive spirit within. With the aforementioned words, in an essay titled ‘The Awakening Soul of India’, Sri Aurobindo described the wide and all-encompassing nature of a national awakening, an awakening which is the need of the hour – for India’s future and for the future of the humanity as a whole. 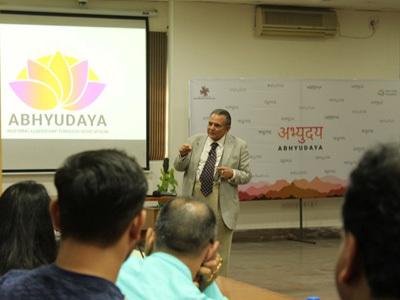 From March 13 to 17, 2019, Sri Aurobindo Foundation for Indian Culture (SAFIC) was one of the organizing partners for the ‘Abhyudaya Conclave’ – a unique multidisciplinary programme organized by Vision India Foundation and supported by Indira Gandhi National Centre for the Arts (IGNCA), Ministry of Culture, designed to express this spirit of a comprehensive national awakening. 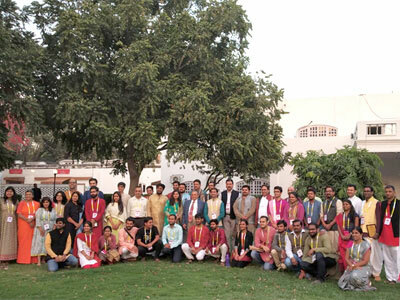 Dr. Beloo Mehra, Senior Associate, SAFIC, was a delegate at the Conclave, which was essentially a 5-day immersive know-and-act programme designed for people interested in deepening their understanding of Indian civilization and also to evolve actionable insights for contemporary challenges. The key idea or ideal guiding the entire programme was set during the inaugural keynote address delivered by the esteemed Dr. Bharat Gupta (Member – IGNCA, retired Professor of English from Delhi University, Indian classicist, theatre theorist, sitar and surbahar player, musicologist, cultural analyst, and newspaper columnist), who with his inimitable intellectual rigour challenged the popular but culturally hollow ‘Idea of India’ and proposed a deeper, culturally rooted and spiritually grounded framework for creating a New Idea of India which is in essence as ancient and eternal as India herself. 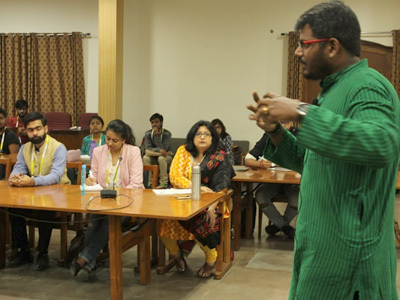 The programme included talks, interactive sessions and discussions covering topics that ranged from the Vedic tradition, indigenous knowledge systems, Indian arts and aesthetics, Indian approaches to research methodology, to the current socioeconomic-political needs of the society. The speakers represented a wide range of backgrounds from those steeped in the Vedic chanting tradition to experts in cultural studies and Vedic poetics, from veteran researcher-activists to lawyers advocating Indic jurisprudence, from accomplished Hindustani classical musicians to writers and thinkers on contemporary social-cultural-political topics and challenges, from experts in Gurukul system of education to those pioneering the field of computational music, from visionary teachers and sadhaks to young researchers in Indian civilizational studies, and a few others. 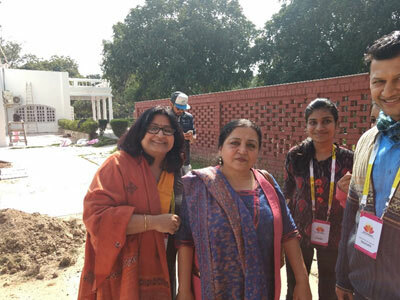 All the sessions, in their own way, emphasized the need for experiencing India as a living tradition and culture, which is growing, evolving, dynamic and yet rooted in her eternal view of reality and existence. The speakers highlighted that this is what helps inculcate within us the much-needed conceptual frameworks and intellectual clarity to effectively navigate the global challenges from a rooted Indian perspective. The conclave was successful in providing a holistic view of the Indic worldview by synthesizing the intellectual and the aesthetic dimensions. It also provided the delegates an opportunity to connect the ancient to their modern lives and then take it beyond the personal to creating societal impact. The delegates attending the programme not only represented a wide range of biological ages; academic, professional and life experiences; but also came from diverse fields of study and work backgrounds such as governance, development studies, political science, law, heritage tourism, information technology, Ayurveda, yogic research, political advocacy, psychological counselling, education, creative writing, programme development, Sanskrit studies, Indological studies and several others. For a detailed report, including some key insights gained by Dr. Mehra about the role of Indian youth in Indian renaissance, and for more pictures from the Conclave, visit SAFIC’s monthly e-journal, Renaissance.